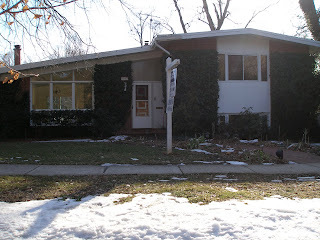 This listing is for a 1956 split-level in Maplewood Estates in Bethesda. The neighborhood, located a mile or so north of downtown Bethesda just inside the Beltway, has mostly mid-century ramblers and split-levels. This house has 6 bedrooms, 4 baths and a basement. It’s open tomorrow (3/4) from 1-4 p.m.